Believe me young ones, that there was once a time in the NBA, in the way-back days until the year 2014, when the league wasn't all that predictable. When the Finals didn't seem all that pre-determined, when the name on the Championship trophy couldn't be pencilled in even before the season began. Sure, there was the force of LeBron James in the East, but even his might was counter-balanced half the time from the Western frontier. This was a wilder time, a time where almost every team could have hope (sort of). A time before Stephen Curry and the Golden State Warriors began to collect all the Infinity Stones. First came Curry himself, the scrawny little point guard on a bargain salary, who turned into the NBA's most unstoppable force and its MVP. Then came Klay Thompson, a solid two-way guard underrated early in his career who turned into one of the greatest shooters in history. On the frontcourt emerged a small big man, Draymond Green, a second-round scrap who served as the team’s engine with his defence and court-vision. They were coached with a brilliant mind in Steve Kerr and surrounded by a merry band of brothers. They won a title. Then they won 73 games and came within a series of unfortunate events from another championship. Then, they added the piece that turned the entire league upside down, snatching dominant phenom Kevin Durant from their rivals in OKC, and of course, they won another title. Then, they did it all over again. Each time, they faced LeBron and his Cleveland Cavaliers at the NBA Final stage, and three of the four times, emerged victorious. So, when LeBron packed up his talents to head West, making headlines with his decision to join the Lakers, they rained on his parade once again, adding the final piece to their puzzle: injured centre DeMarcus Cousins. We are now entering the fifth consecutive year where the Warriors are favourites to win the NBA championship. 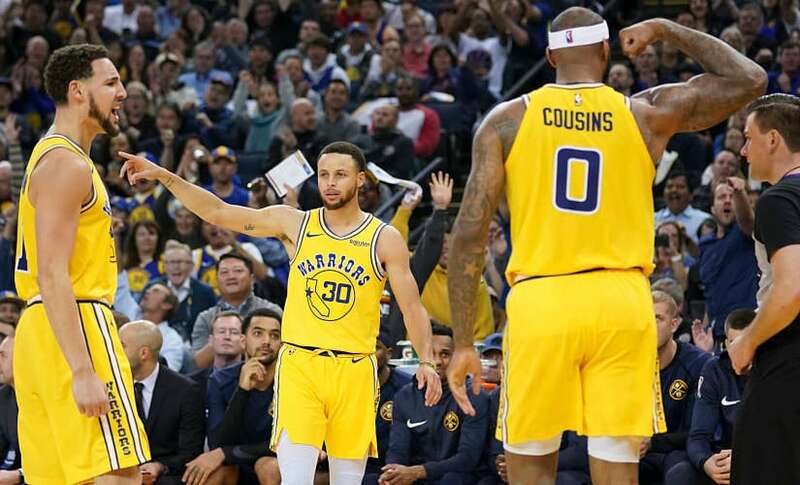 Curry, Durant, Thompson, Green, Cousins, and the rest of the crew have assembled the most potent group of NBA superheroes ever seen professionally sharing the same locker room. Most of the team was grown organically, some acquired with wild swings for the fences, and together built to win. What makes this group extra special isn't just the talent on the roster but their ability to turn 'fantasy basketball' into reality, the ease with which they run the offence together, make the extra pass to find the open man, set screens, cut to the basket, stretch out for three, in the way they sync up on defence to sway and move and guard as a group, in the way they can make the best opponents look pedestrian. Beating the Warriors is difficult, but not impossible. Last year's Houston Rockets side that pushed Golden State to seven games in the Western Conference Finals proved that they were a Chris Paul injury away from dethroning the champions. This season, despite having the best record in the West, the Warriors will actually win the fewest games (57) since they first emerged as contenders in 2014-15. They have been blown out by terrible teams and knocked out by good ones. On the road and at home at the Oracle Arena. Their defence hasn't matched the highs of the past and their depth could be tested in the intensity of the playoffs. They are still the favourites — but they are a little 'less favourite' than they used to be. But if not the Warriors, then who? There are 15 other teams qualified for the postseason. On their road to a fourth title in five years, the Warriors will only have to face four of them, including three of the other eight of their own conference and one lucky outfit from the East. Many teams can imagine getting a victory over Golden State, but beating them four times out of seven is a tall order. So, let's imagine that all the other playoff teams have the same shot: a chance for a head-to-head against the rules of the NBA Throne. What chances would you give each one? To preview the 2019 NBA Playoffs, I decided to do just that. Here is a countdown of each team, ranked by the chance that they could dethrone the Warriors if they are matched-up against them. 15: Orlando Magic (7th in East): Frankly, it's pretty wild that the Orlando Magic even made the playoffs. Led by Nikola Vucevic, Aaron Gordon, and Evan Fournier, this team has taken an impressive leap to respectability this season. But they are the worst offensive rating of any team in the Playoffs. Translation: they're going to find it incredibly difficult to score against the defensively-elite Warriors. 14: Brooklyn Nets (6th in East): Congrats to Brooklyn, who, much like the Magic, made the most of a top-heavy conference to leap into a Playoff spot this season. It will be fun to see D'Angelo Russell face off fearlessly against Curry, attempting to match shot for shot. Except he won't be able to. There are a lot of stats to prove that the Warriors are better, but the one that stands out is the assist/turnover ratio: The Warriors are a league-best 2.06; the Nets are down at 25th with 1.58. 13: Detroit Pistons (8th in East): The Pistons are a terrible offensive team, with the lowest rating of any playoff team but the aforementioned Magic. Blake Griffin (24.5 ppg, 7.5 rpg, 5.4 apg) has been great this season, and big man Andre Drummond is the league's best rebounder (15.6 rpg). They will make for a fun frontcourt battle against Green and Cousins. But the Warriors also happen to have three of the greatest shooters in the NBA history on the wings. 12: Indiana Pacers (5th in East): The Pacers have survived the loss of All Star Victor Oladipo to keep chugging along behind a top-three defence, top-three assist ratio, and mature play by the likes of Bojan Bogdanovich, Domantas Sabonis, and Myles Turner. But they will struggle to score if Golden State are able to control the pace on both ends of the floor during the course of the series. 11: Los Angeles Clippers (8th in West): Like the Pacers, the Clippers have exceeded expectations without a traditional 'star' on their roster. This is a deep team that scores well and has players that no their roles in Coach Doc Rivers' system. But as good as Lou Williams, Montrezl Harrell, Danilo Gallinari and Co are, the Warriors have a player on every position that’s better. 10: San Antonio Spurs (7th in West): The Spurs will not beat themselves. This is a team that has its limitations, sure: defence, ball-movement, rebounds, pace. But they will follow the system, play to their strengths (scoring, bench-depth) and rely on their stars LaMarcus Aldridge and DeMar DeRozan to keep things interesting. I expect the Warriors to switch gears a little, match every Spur two-pointer with a three, play lock-down defence, and send Pop and his boys home early. 9: Portland Trail Blazers (3rd in West): With CJ McCollum set to return soon, Portland should be comfortable with a strong backcourt for the Playoffs. This is a team that can score at a high level and out-rebound most opponents on any given night. But while Portland can match the Warriors shot to shot on offence, they’ll struggle to do so on the defensive end, especially being able to handle a versatile scorer like Durant who will hurt them from the perimeter and attacking the basket. 8: Utah Jazz (5th in West): Utah boast of the league’s best defensive-rating, led by Rudy Gobert in the middle. Their weakness, however, is their over-reliance on sophomore guard Donovan Mitchell to carry the offensive workload. The series will eventually be decided when Golden State have four or five offensive answers to Utah’s one, and the Warriors — a little battered and bruised — will figure it out. 7: Denver Nuggets (2nd in West): This is indeed a talented and deep team, led by an All NBA centre (Nikola Jokic), a fluid offence, and passing ability that is second only to the Warriors, and to top it all off, the league’s highest rebounding rate. They have good guards, good swingman, good athletes, good shooters. But the Warriors are just better. Denver has no legitimate star second option in this team that scares Golden State. After a close early season loss, the Warriors have blown out Denver in statement wins three times in a row. 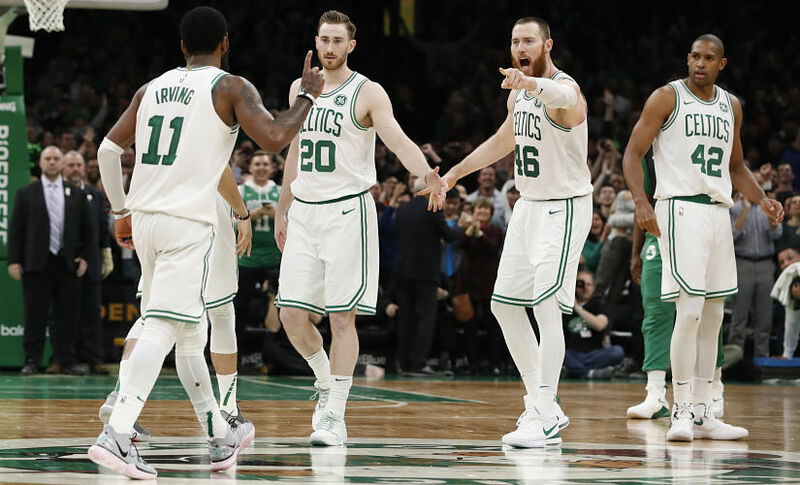 6: Boston Celtics (4th in East): Boston have a large arsenal of weaponry (Kyrie Irving, Al Horford, Gordon Hayward, Jayson Tatum, Jaylen Brown) to throw at the Warriors. They are a fantastic defensive team which passes the ball well and has a legitimate end-game closer in Irving that Golden State have learned to fear and respect over the years. 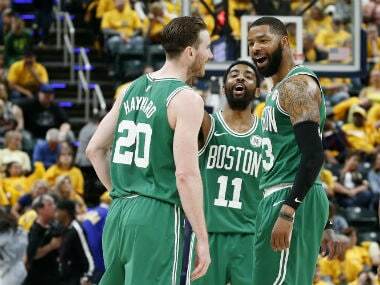 But they have deep-rooted problems, starting with their inability in figuring out how to keep all their offensive options involved, Irving’s sulking and leadership issues that hurt them off-the-court, their rebounding woes, and a troubling record against .500 or better teams (17-25). 5: Oklahoma City Thunder (6th in West): In Russell Westbrook, Paul George, and Steven Adams, they have the star power to see eye-to-eye with the Warriors. They will outmuscle Golden State, outrebound them, and will bring a hostile home crowd to welcome Kevin Durant back “home”. Alas, intensity can only carry one so far: OKC are a middling offensive team and their biggest weakness will be exposed from outside the three-point line, from where they ran 22nd in the league in 3PFG percentage. At one point, George was looking like a two-way superstar almost at the level of Durant, but his injury has slowed him down a little. 4: Philadelphia 76ers (3rd in East): In a series versus the Warriors, Embiid would be the best big man on the floor, Simmons could distribute with the best of them and be a good defensive presence, Reddick could shoot like Thompson, Butler would be unafraid to guard Durant, and Harris would be unafraid to attack Green. But this is a team that is still figuring itself out. Sometimes they disappoint and sometimes they amaze. And these Playoffs will either make or break them. 3: Houston Rockets (4th in West): A year ago, the Rockets stretched the champs to seven in a hotly-contested series, coming as close as any team has ever come (or, potentially, will ever come) to beating the current era of the Warriors. 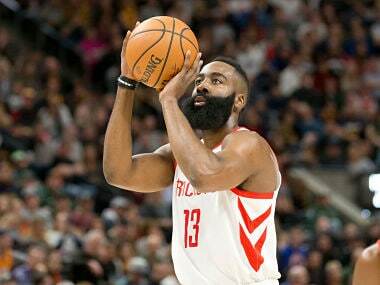 This iteration of the Rockets is different: the defence isn’t as good, the roster isn’t as deep, Paul is a weaker version of himself, but Harden is more unstoppable than ever before. It will be a fascinating series, but I think Houston’s challenge to the Golden State peaked a year ago — there will be tougher teams for the Warriors left in the Playoff fray. 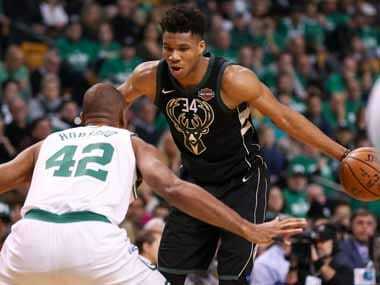 2: Milwaukee Bucks (1st in East): The Bucks have the NBA’s best record and perhaps the most valuable player from the regular season (Giannis Antetokounmpo). They are the only team in the league that finished top three in both offensive and defensive rating this season, and the only one with a higher net rating than the Warriors. Antetokounmpo is the centrepiece, but the likes of Eric Bledsoe, Khris Middleton, Brook Lopez, and more make this a well-balanced squad. Their only weakness is their overall inexperience: regular season success is one thing, but like other young teams, the Bucks’ pressure points — including Antetokounmpo’s outside shooting and the big-game ability of the role players — will be exposed when the lights get brighter. 1: Toronto Raptors (2nd in East): Years of post-season disappointments for T-Dot could finally end this season. The Raptors have a deep team, scarred by playoff experience, hungry for success. Kawhi Leonard, Kyle Lowry, Pascal Siakam, Serge Ibaka, Marc Gasol, Danny Green, and a very deep surrounding cast ensures that this team has weapons for every occasion. The Raptors have the third-highest net rating behind the Bucks and the Warriors and are an elite shooting team. They are built for the Playoffs, with many versatile players, a game-changing star in Leonard, and eyes for the throne. 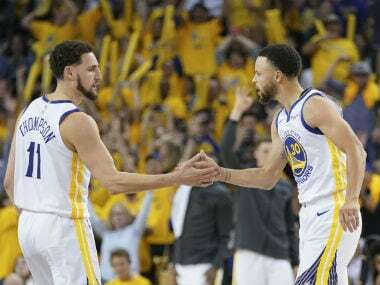 1NBA Playoffs preview: With Golden State Warriors eyeing a threepeat, how do the remaining 15 challengers stack up?